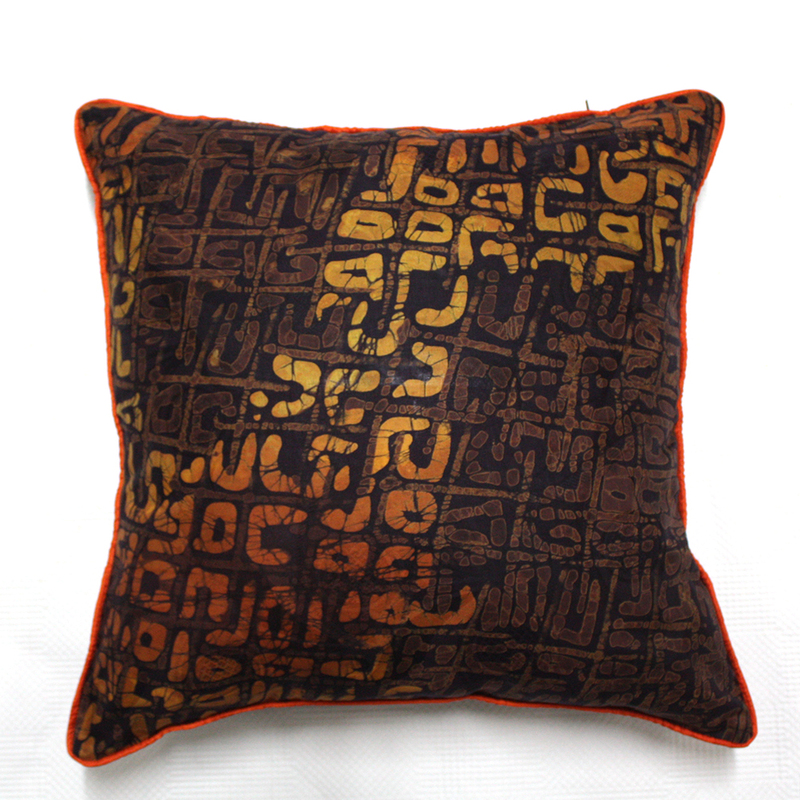 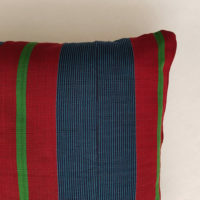 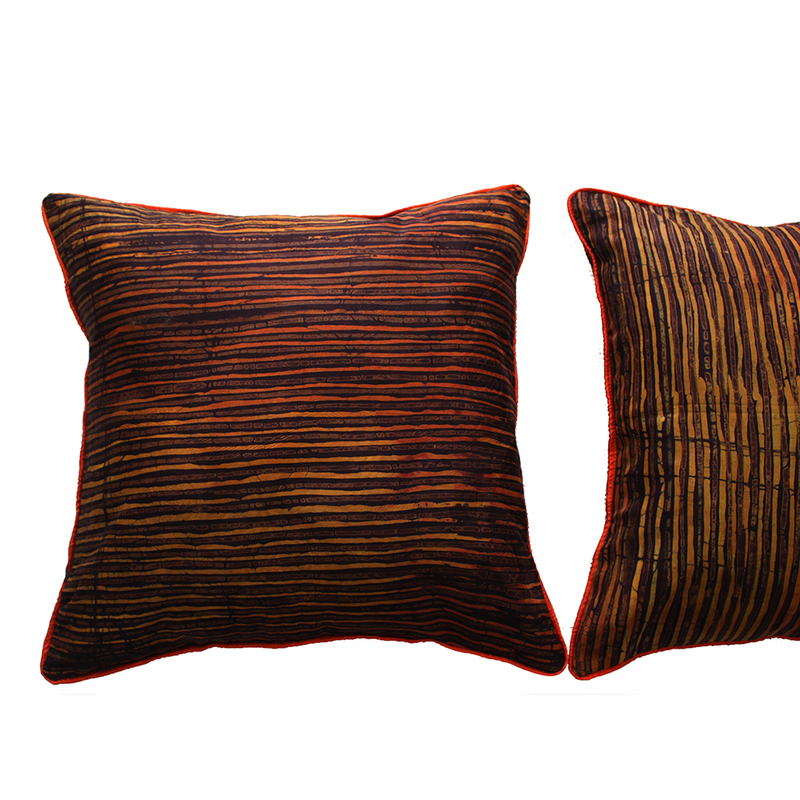 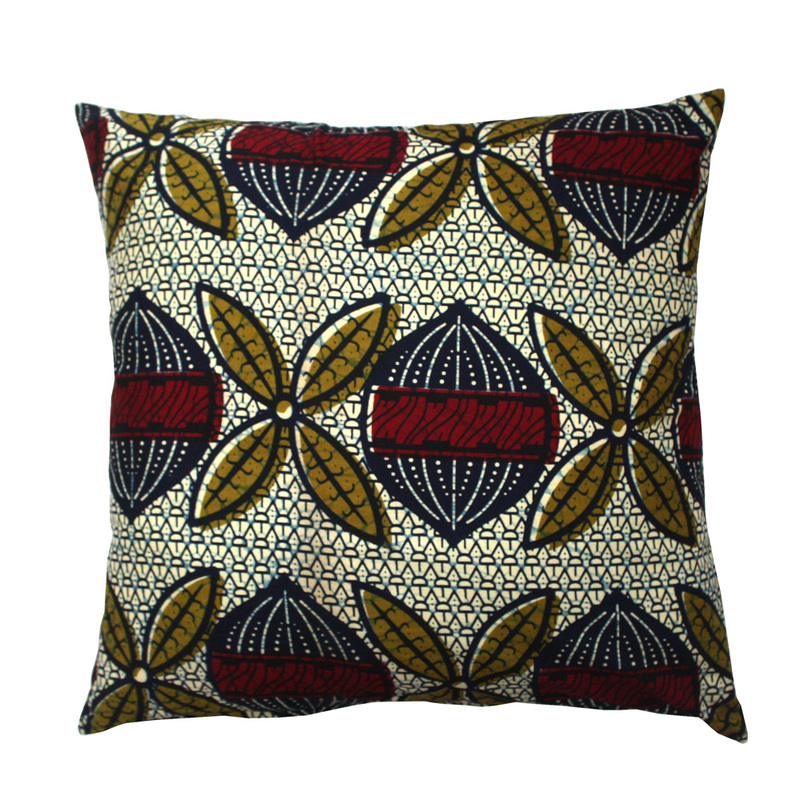 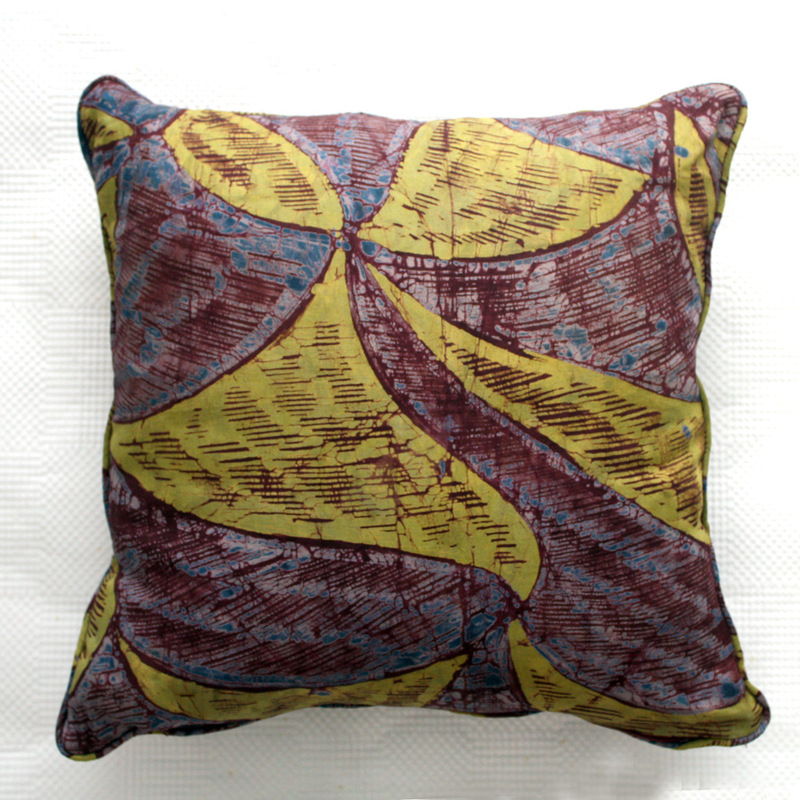 A striking brown and orange batik cushion made in a unique traditional Batik material from West Africa. 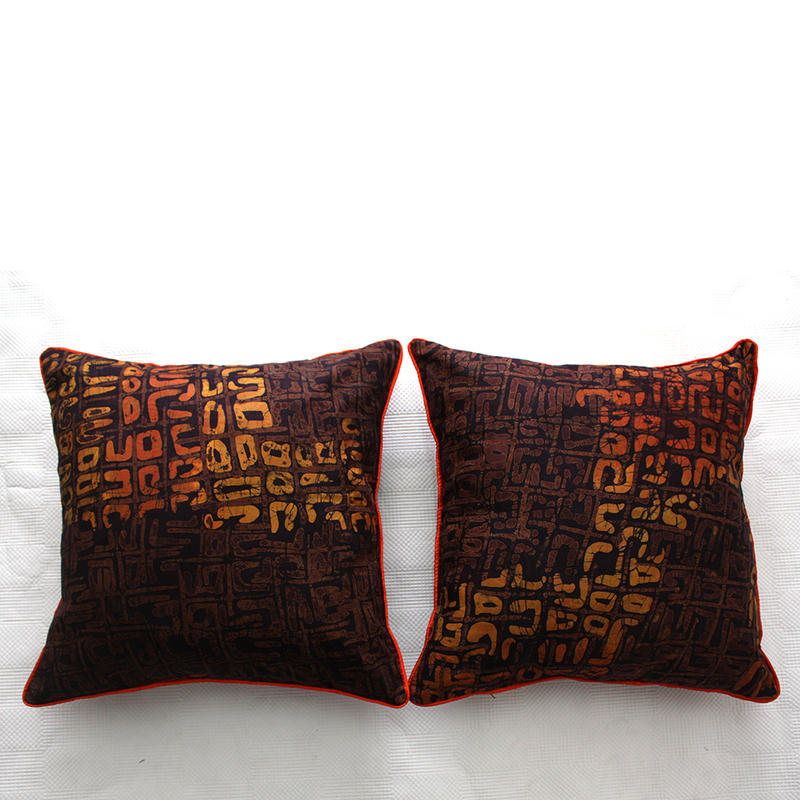 With a brown and burnt orange colour palette, these earthy tones will add a cosy feel to any living space. 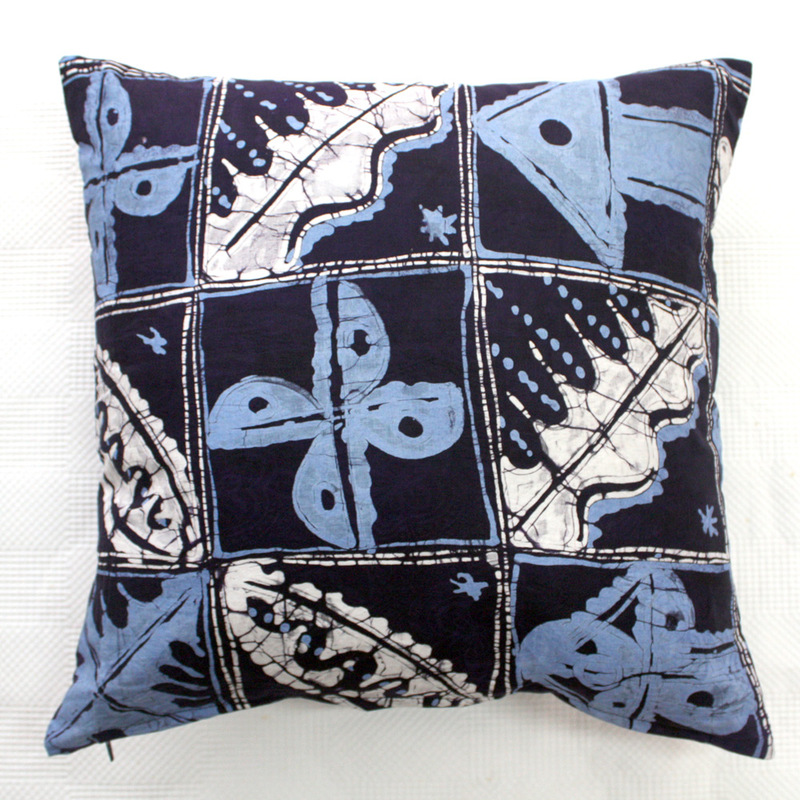 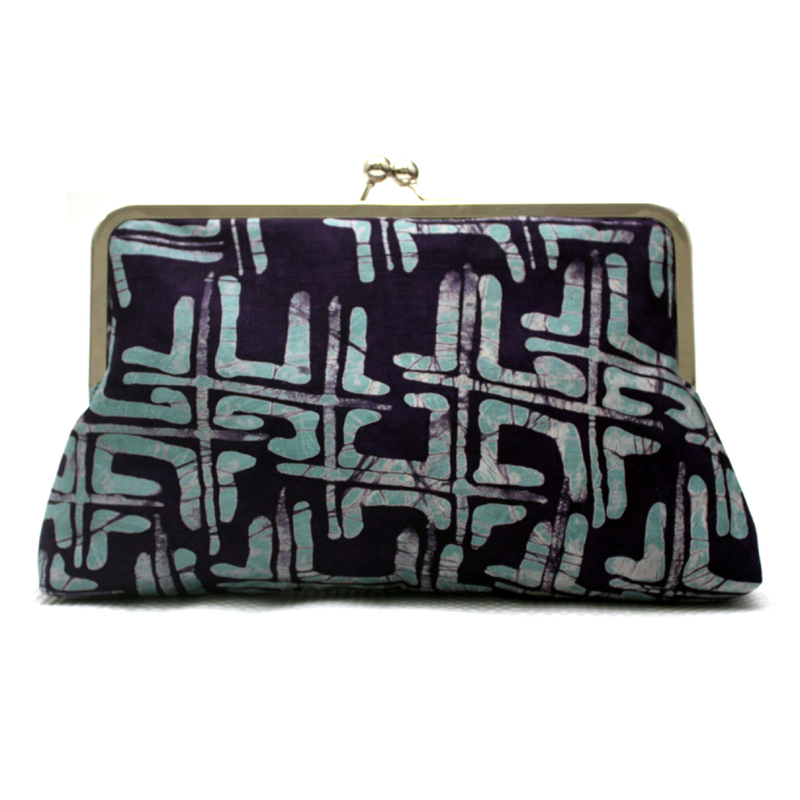 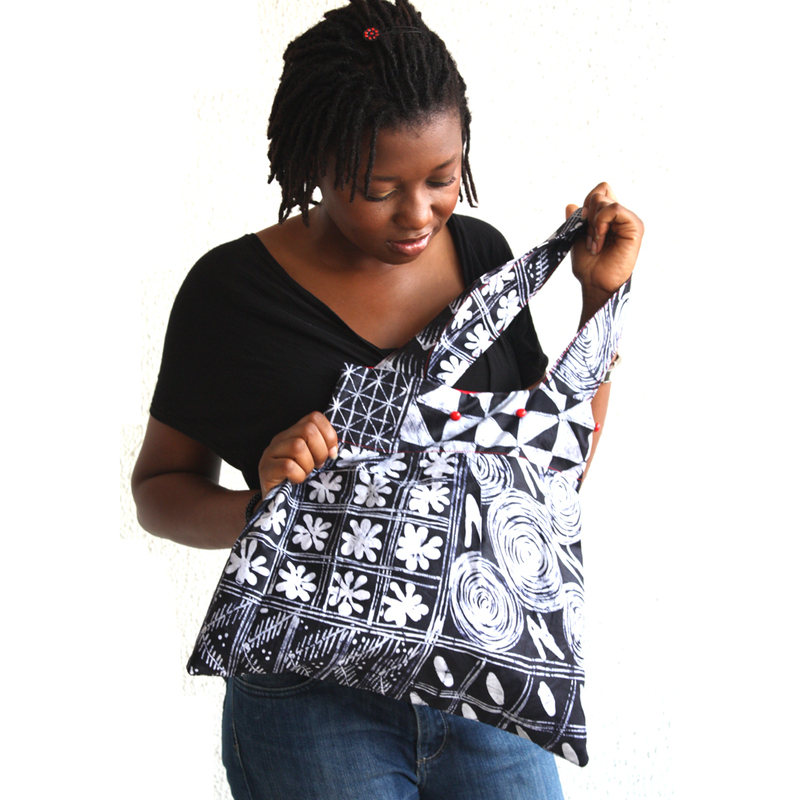 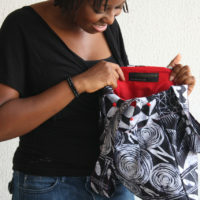 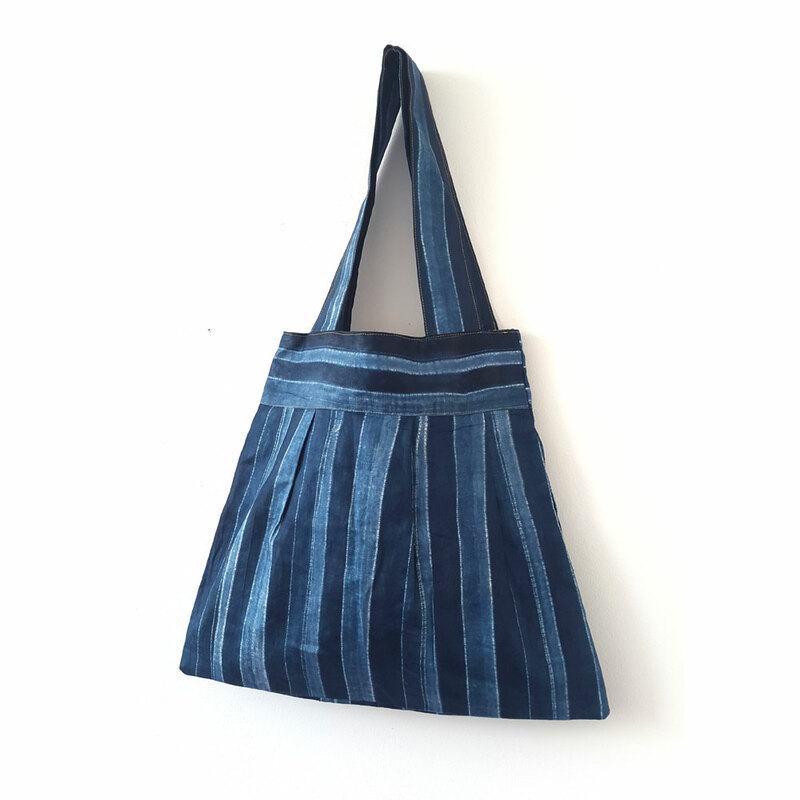 Batik is also known locally in Nigeria as ‘Adire’. 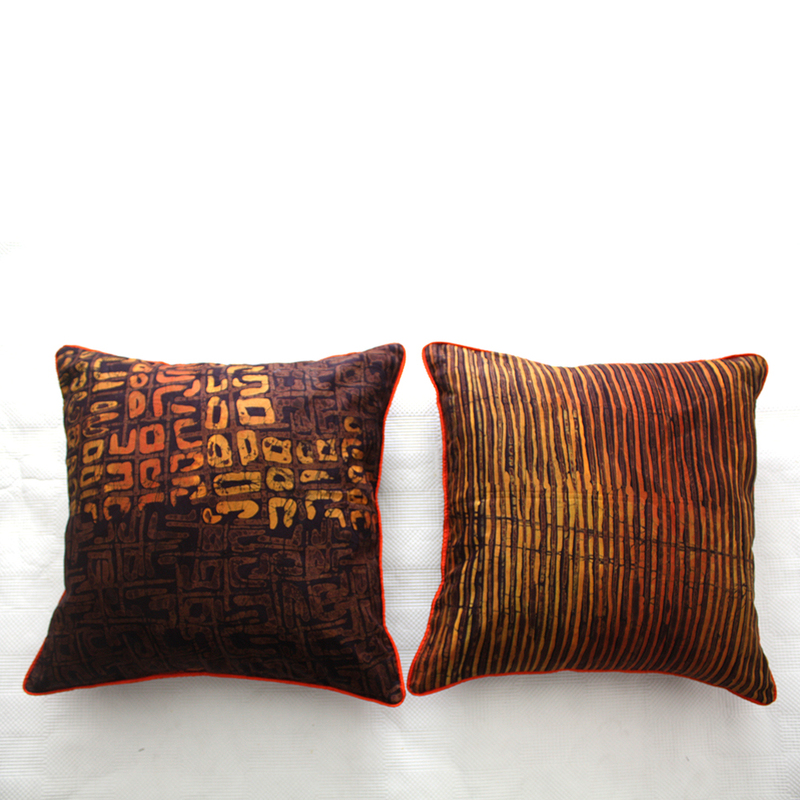 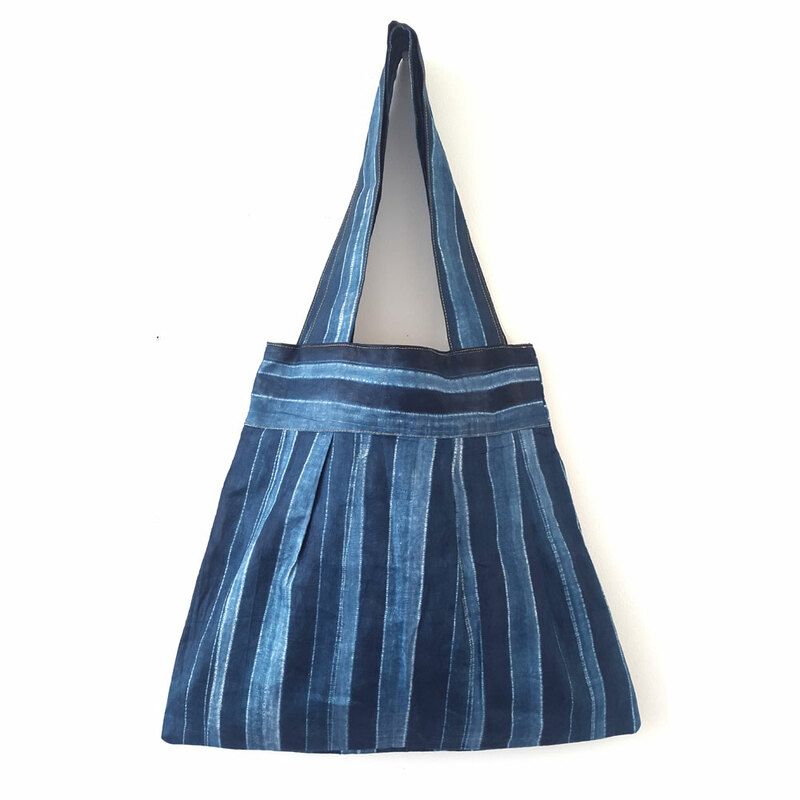 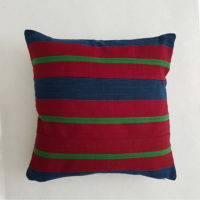 One side of the cushion has an organic striped pattern while the other has a more abstract square motif, both in the same colour palette. 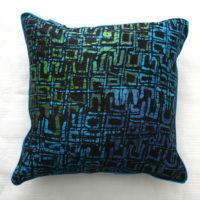 It is like having two cushions in one! 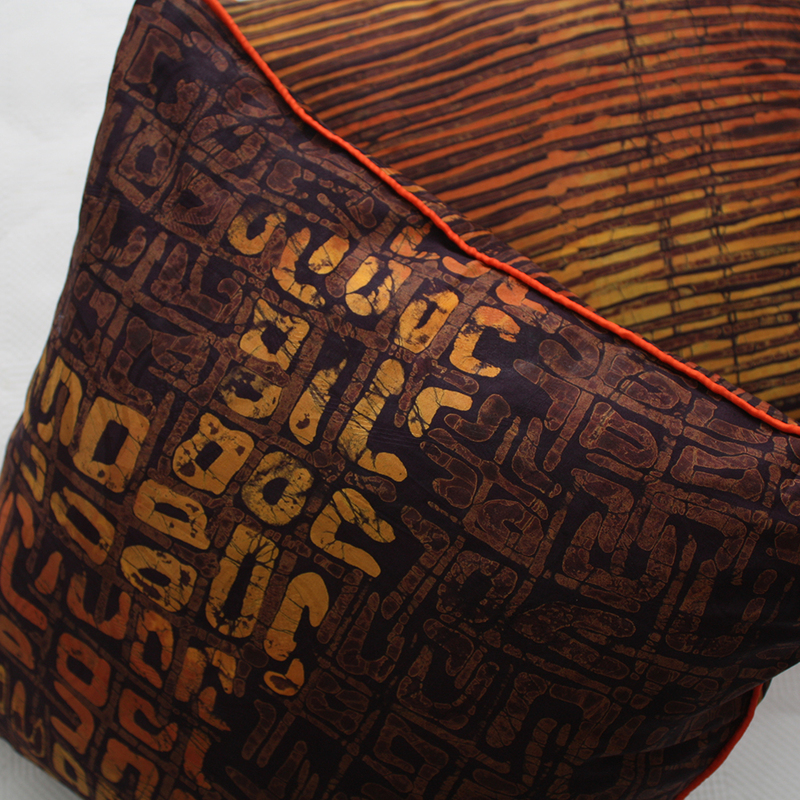 The cushion edge is also piped in bright orange for that extra touch of colour. 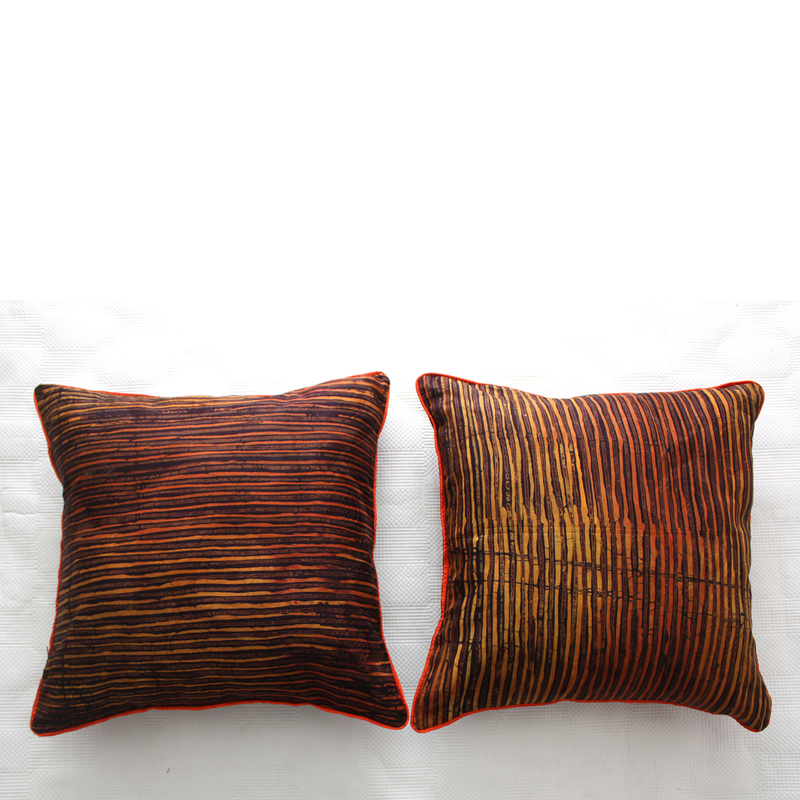 These cushions work beautifully in pairs. 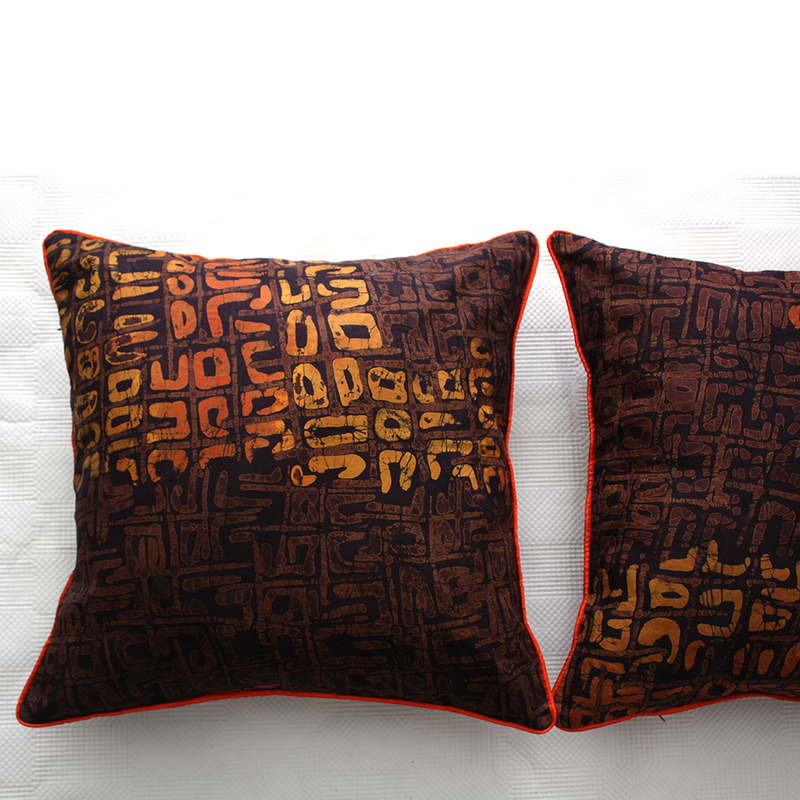 Each comes with the cushion pad already inserted so you can use it straight-away.